Impreza is an outstanding business WordPress theme which comes with an easy to use page builder and special features like a horizontal parallax effect. With over 360 icons integrated and a custom font loader you can make your site look unique and special in no time. 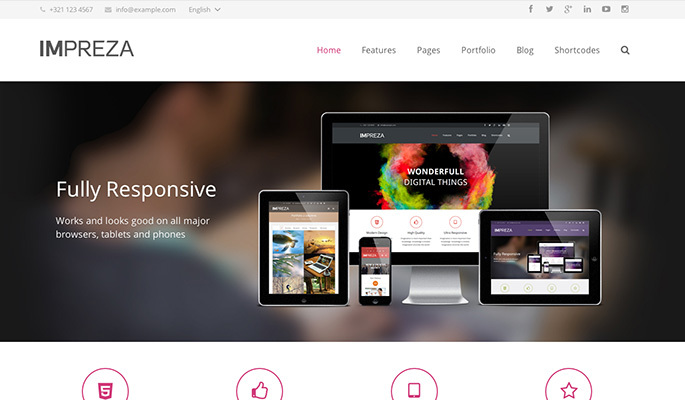 The theme is fully WPML optimized so running it in your native language is a very easy thing to achieve. Theme testing in such detail is a tedious process. We try our very best to present the most accurate information about the theme. We need your help: if you find a discrepancy in any of the items we tested above, please leave a comment below and tell us what is wrong. We'll look into it and make correction if it is our mistake. 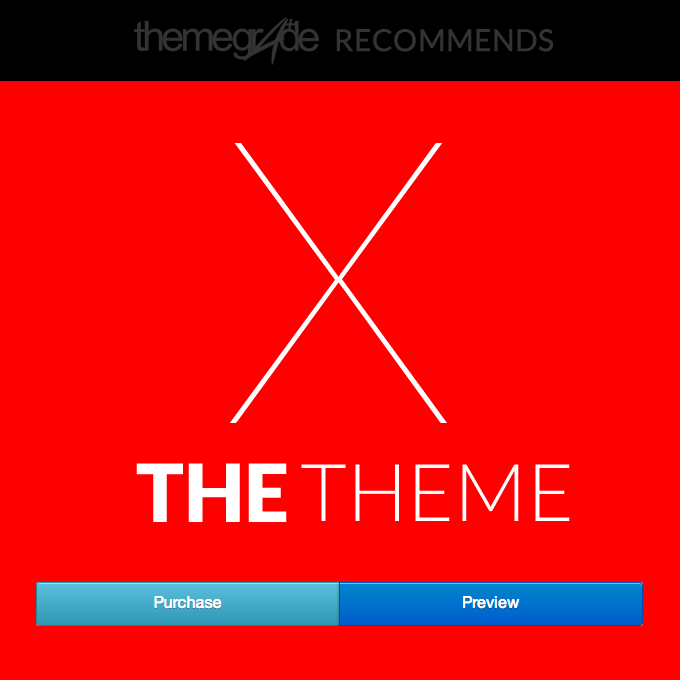 If you are a user of this theme, feel free to leave a comment and share with us your experience with the theme. Notice: Some of the links on ThemeGrade are affiliate links which means we may receive a commission if you click a link from here and ultimately purchase the product. These commissions allow us to keep ThemGrade free. I was just wondering, if there is any video tutorials in making Impreza theme. A video which can walk me through the whole process. I tried looking up but can’t find. Can anybody guide ? Directory and Spotfinder themes are awesome. Templatic support is second to none...so helpful. I won't go anyway else! Notice: Some of the links on ThemeGrade are affiliate links which means we may receive a commission if you click a link from here and ultimately purchase the product. These commissions allow us to keep ThemGrade free. Currently grading 2584 themes from 378 providers.